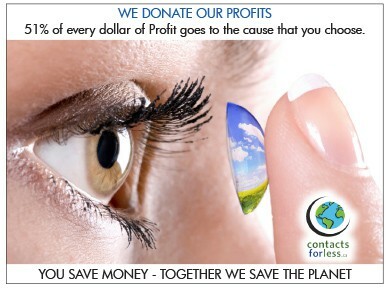 Here at ContactsForLess.ca, we stock a fantastic range of toric lenses, for the correction of astigmatism. Caused by an uneven curve in the cornea, astigmatism results in fuzzy vision and requires a different shaped lens to correct it, rather than a standard contact. All of the lenses we sell have been designed to correct this, whether you’re long or short sighted. We have a choice of toric lenses for those who wear daily disposables – choose from Focus Dailies Toric, Air Optix for Astigmatism, 1-Day Acuvue Moist for Astigmatism and Soflens Daily Disposable for Astigmatism. Some lenses are even suitable for extended wear, so they can be worn continuously and even slept in. These lenses are great for those who lead busy lifestyles and don’t want to waste their time dealing with contact lens cleaning. Our most popular extended wear lenses are Acuvue Oasys for Astigmatism and Biofinity Toric.